The choice and decision of selling your house is never made on the spur of a moment. It may have impel because of your desire to live in a more beautiful home, the necessity to move for a new job or it could be a need to get a handle on out-of-control costs. Florida is not called the sunshine state for nothing. The weather is one of the plethoras of reasons why many people flock to Florida for either a vacation or for settling down. That is why the real estate market of Florida is a booming industry. Many have decided to sell their house because they can come up with a good profit. While it is easier said than done, many Florida homeowners have lost a great deal because they don’t know what preparations to do before selling their home in Florida. Nonetheless, whatever your reason is for making up your mind, you have got a lot of work that waits ahead of you, before you can really say that you are ready to really sell your house on the market, if you wish to get the best possible price for your property. If you are planning of selling your home, chances are you are caught up in a bunch of mixed emotions. You may be looking forward to moving up to a new home in Florida or facing the vagueness of a major move across other country. Or probably you may be reluctant to leave your memories behind or eager to start new and exciting adventures to your new home. You have to ensure that when selling your home it must be on the best possible condition. Bear this in mind; you have to consider that when you are in a soft market you really have a lot of competitors. You must do something about it to make your house stand out. You should take care of any repairs that a buyer might be concerned about before putting the house on the market. But if you do not have that enough money to do expensive repairs such as the roof, carpeting, ceiling, floor, etc, then it is necessary for you to provide an allowance that will cover the cost of these items. In addition, most buyers also require an inspection at time of contract. These are the possible benefits if you will have a home inspection before putting the house on the market: • You will be able to know what repairs will be needed and can still have an ample time to fix them. • It will help in processing the contract faster which means that you can be able to receive your money earlier. Don’t worry because home inspections are not that pricey because it could actually make you more money. Usually, it rates at about 10 cents per square foot. Some of the other important things to be considered in selling house are the following: Pricing your home right is the key factor in selling it in a reasonable amount of time. Statistics shows that owners, who usually do over-pricing in their properties, are actually loosing more money than if they were only to price it with accurate and reasonable prices. Setting a price too high will make your home undesirable to buyers. Pricing it too low may, in fact, deter buyers who may wonder about what's wrong with it. Over-priced houses normally stay on the market longer then those that are priced competitively. This usually happens on the home owners that want to take advantage over some buyers, so just beware of them. Now is the time to do your research. Making your house as accessible as it could is also a big help for you. The main reason for this is that, you may never know when the right buyer may come along and pass by your home. The tendency and mindset will be, if potential buyers can’t get in then your home will not be sold. Having your home on a lock box system can make it much easier to get into as well as a lot less inconvenient than having to chase down keys. But if you are concerned about valuables, such as your jewelry, money, etc., then better store them in a safety deposit box. In Florida, there are already some real estate industries that are offering professionals that show a lot of expertise to this kind of industry and positioned to stay ahead of the market curve. These real estate industries ensure that the public are well informed about the fact that your home is for sale. 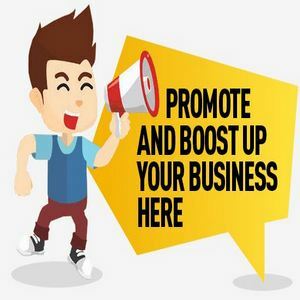 They also use some traditional and innovative advertising and marketing techniques when it comes to catching the attention of some potential buyers.